Can you believe they are growing up so much! Monday they were ten weeks old. 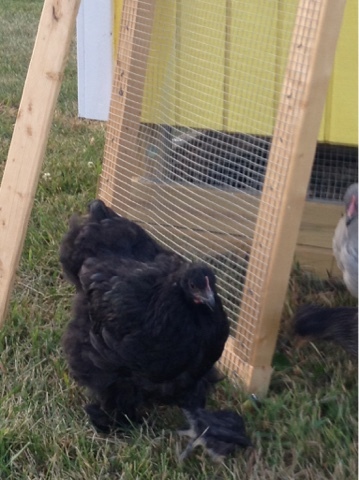 I have officially moved them from chick to pullet status. Then once they start laying eggs they will be called hens. 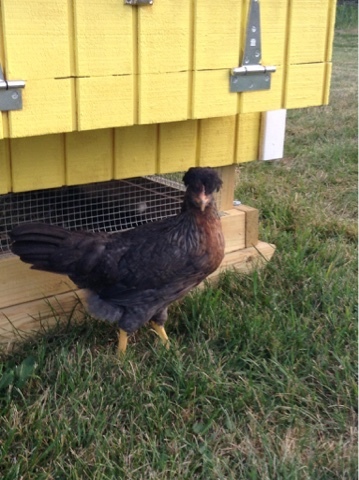 We ventured out of the coop for a little photo shoot. Lavern was the first to step out because she is the least afraid of me. Lillian did not like that at all. She charged right out and made sure she was first in line to try anything that looked good. She kept the other girls corralled and would not let them venture very far in case they got something she wanted. They doing well in their coop. They go in every night at dusk and get on the roost. Lavern is always the last one to get on the roost and the others don't give her any room so I help her out occasionally. I still can't figure out if Laverne or Lucille is on the bottom of the pecking order. Lillian is such a tyrant. 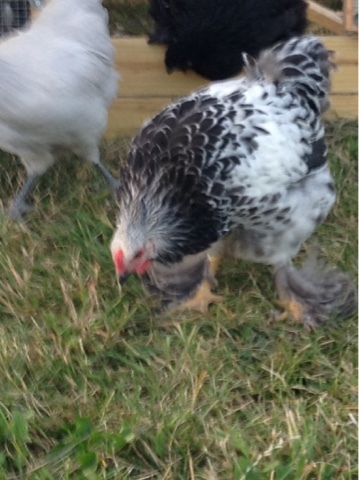 She is constantly bullying the others, at least there is not one pullet that is getting picked on by everyone. That would not be good. Lucille is still the shyest. Lillian will peck at me if I try to pet her. The other day I picked her up and just carried her around the yard, so she can try to get used to the idea that I'm actually the top one in the pecking order! I will keep trying to hold Lillian once in a while so she gets used to the idea that I'm bigger than she is. 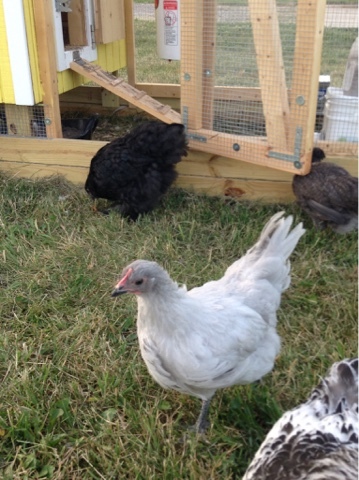 I've been trying to finalize the plans for the bigger chicken coop and hope to break ground on it soon.